Organic Liquid Serum that promotes healthy new hair growth while diminishing the appearance of hair loss using Organic Pea Sprout Extract and Organic Aloe Vera. Also helps to protect and heal damaged hair with Gluten Free Conditioners and Vegan Moisturizers. Massage into scalp twice daily to help restart the hair growth life cycle. Organic Hair Loss Therapy Twice Daily Serum promotes natural hair growth by re-balancing the hair growth stage and balancing the hair growth life cycle. Hair Loss Therapy Twice Daily Serum helps to stimulate natural hair growth for denser fuller looking hair. Rich in phyto-nutrient Pea Sprout Extract and Antioxidant Polyphenol rich Aloe Vera. 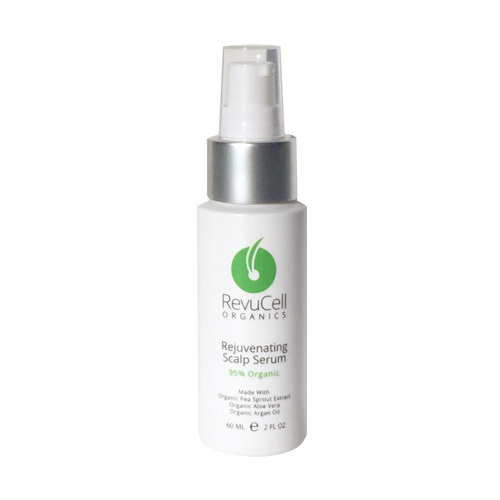 Promotes a healthy scalp environment while inducing the dermal papilla to reactivate the hair growth life-cycle stage. Our unique blend of ingredients helps to re-balance the hair growth life cycle while conditioning existing hair and protecting it from breakage and loss. Use in combination with RevuCell Revitalizing Shampoo and RevuCell Volumizing Conditioner. 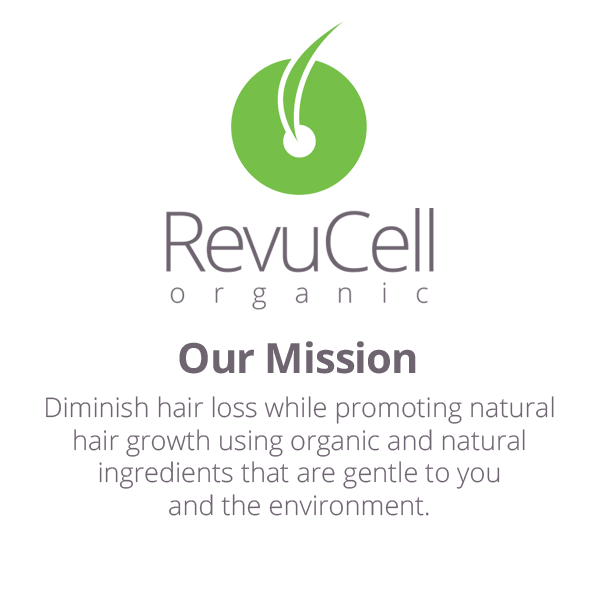 Apply RevuCell Rejuvenating Scalp Serum directly to the scalp. Massage serum into scalp being careful to apply to all affected areas. For longer damaged hair, apply serum at the scalp, then pull through excess serum to the ends of the hair. Anti Static Agent used in hair care. Thickening agent used in skin and hair care. Viscosity agent used in skin and hair care. We have less than 0.5% of this preservative , so the score would be the low.